Posted in: 1 Pageant Pages, 2 Shout-out-Looks. Tagged: AFP Theater, Captured Dream Productions, Miss Teen Earth and Little Miss Earth Philippines 2015, Vanessa Mae Walters. 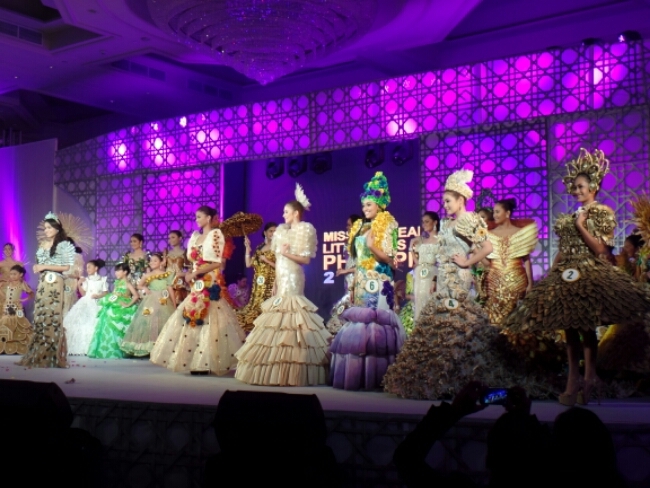 This coming Sunday night at the AFP Theater, Miss Teen Earth and Little Miss Earth Philippines 2015 will be chosen to succeed the reigning titleholders Vanessa Mae Walters and Maria Bernadette Datu. 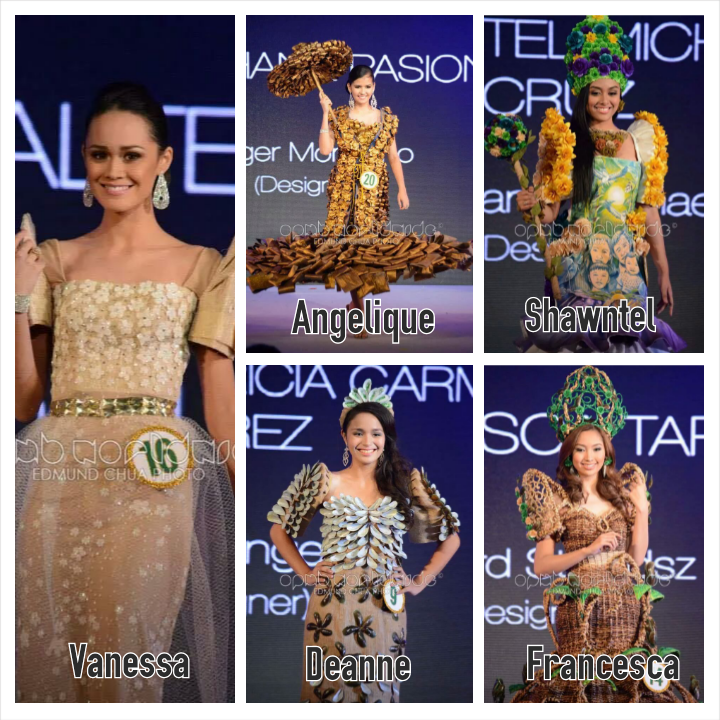 I carefully reviewed all the candidates and have come up with my six best from each group to complete a Top 12 (photo grid below). 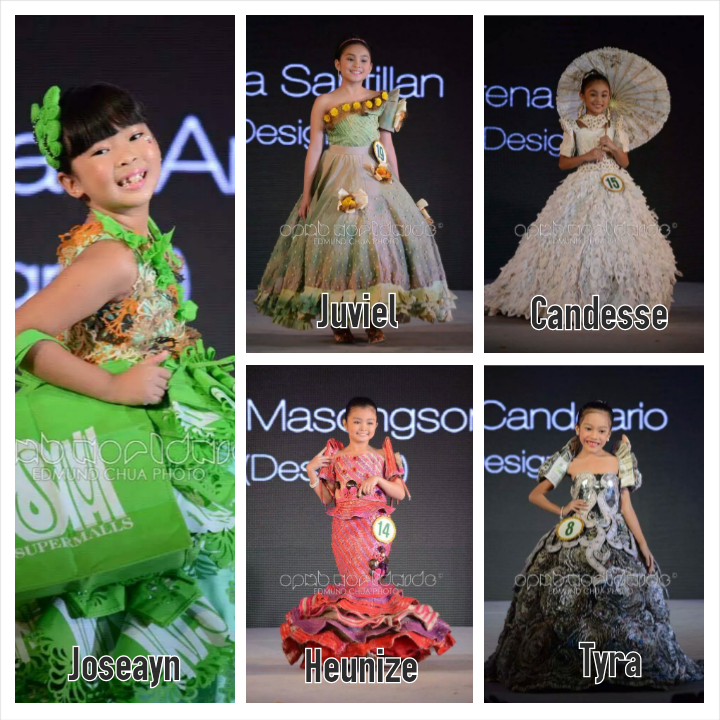 My selection among the teens are Cindy, Luzenne, Caryll, Joecel, Keanna and Madeleine. 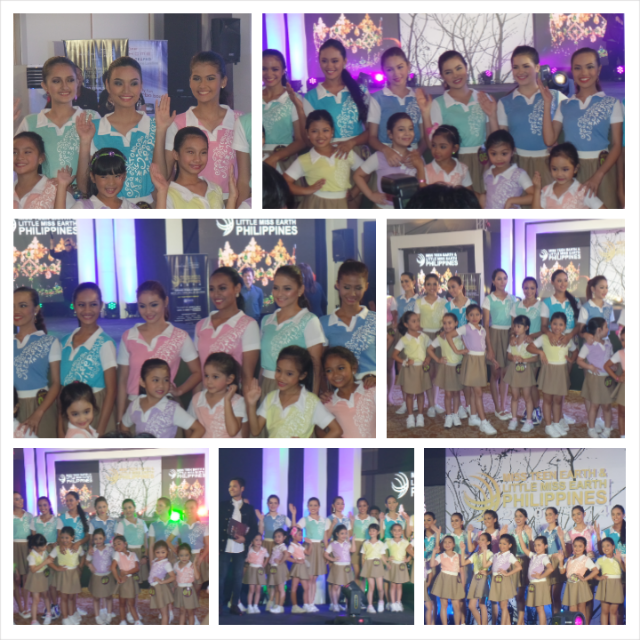 From among the kids, I chose Jasmine, Lea Sephora, Kristal, Nicole, Kersey and Chillian. 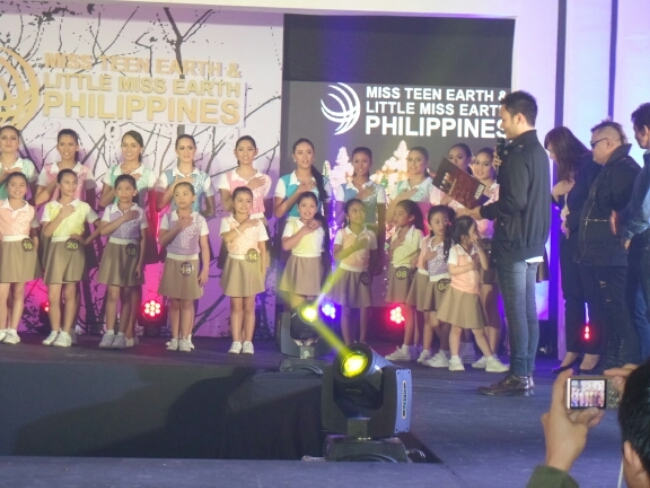 For Miss Teen Earth, it’s a toss between thirteener Cindy Patricia Abella from Pavia, Iloilo and fair lass Luzenne Sanchez Jones from Consolacion, Cebu for me. 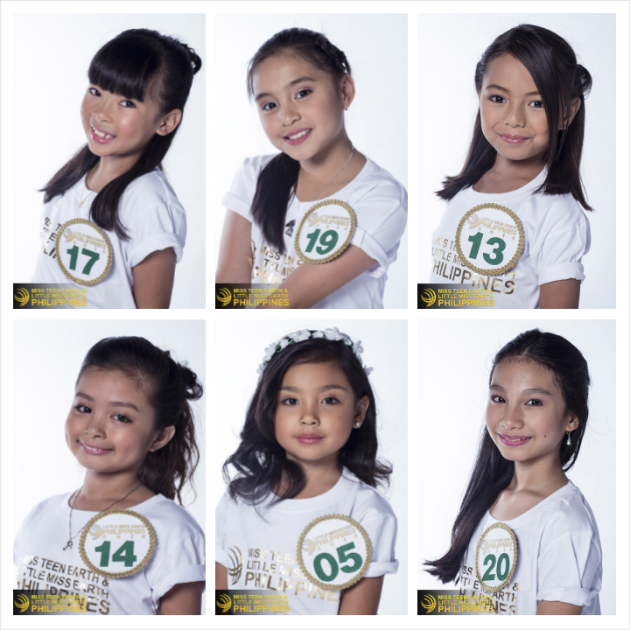 As for the little ones, it could be a battle between the adorably spunky Margie Jasmine Carpenter of Davao City and the very likeable Lea Sephora Bautista from Lucena. There could be a lot of spoilers as well. I just selected the ones who fit the winner’s peg based on the inaugural results. 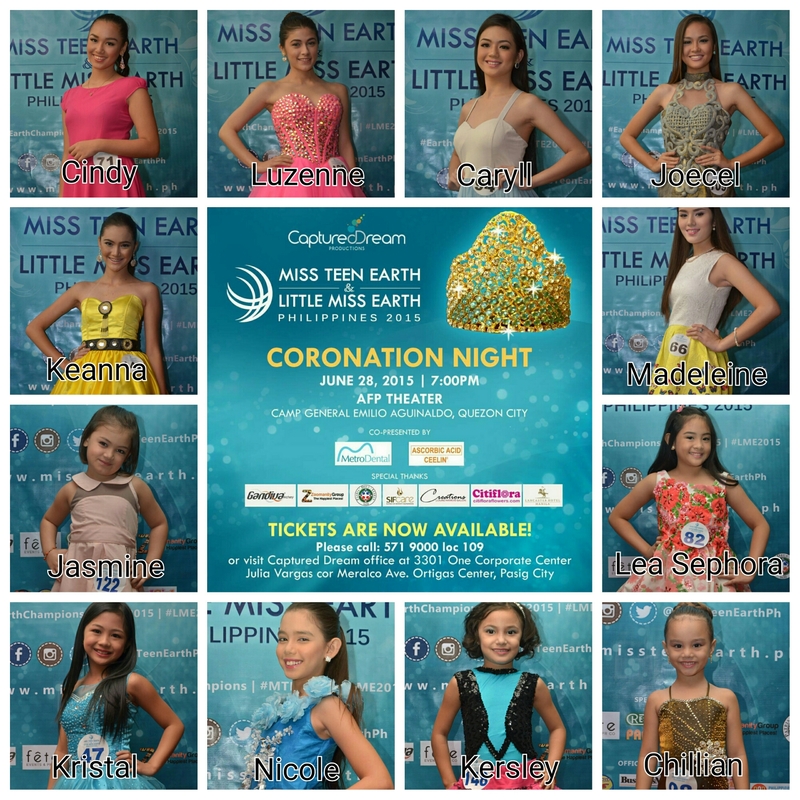 Miss Teen Earth and Little Miss Earth Philippines 2015 is presented by Captured Dream Productions and co-presented by Metro Dental and Ceelin. 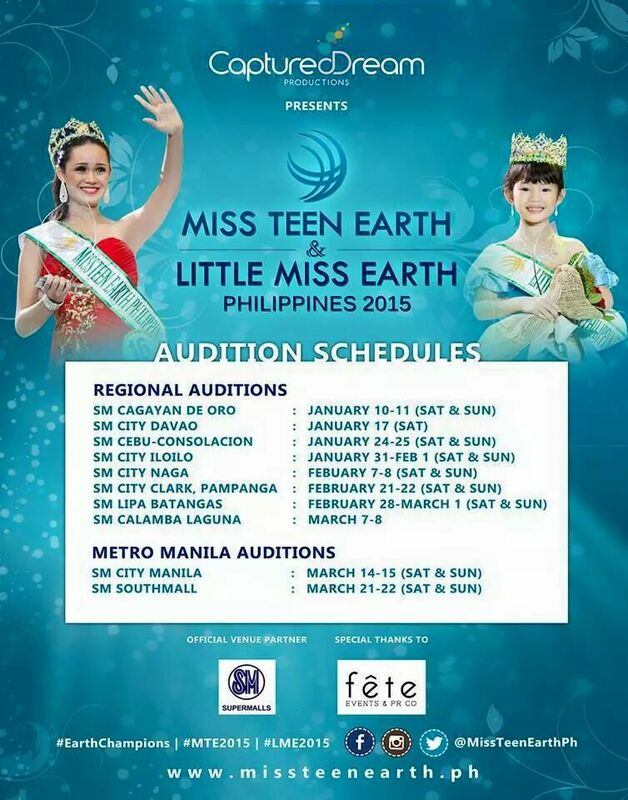 The Search for Miss Teen Earth and Little Miss Earth Philippines 2015 is on! Posted in: 1 Pageant Pages, 2 Shout-out-Looks. 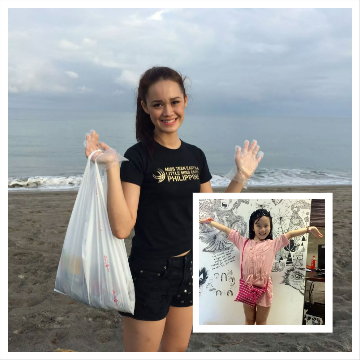 Tagged: Captured Dream Productions, Little Miss Earth Philippines 2015, Miss Teen Earth Philippines 2015, Vanessa Mae Walters. Vanessa Mae and Bernadette (inset) are having cause-filled reigns so far. 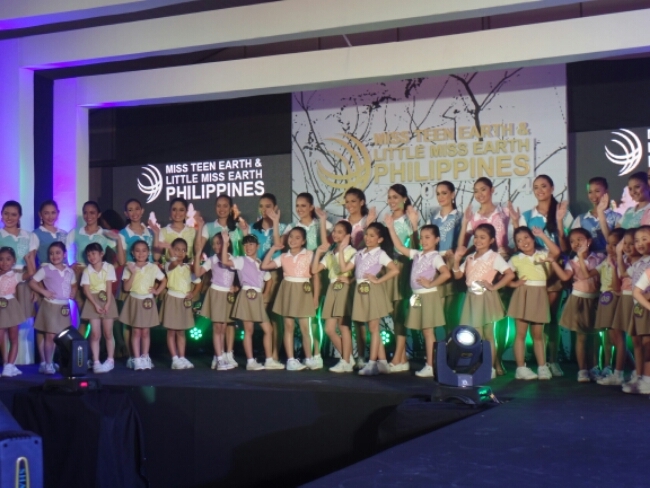 This early in January, the search for Miss Teen Earth Philippines 2015 and Little Miss Earth Philippines 2015 is already on. By next week, provincial auditions will kick off in Cagayan de Oro City with the other key cities of the Philippines following suit in different dates (please refer above). 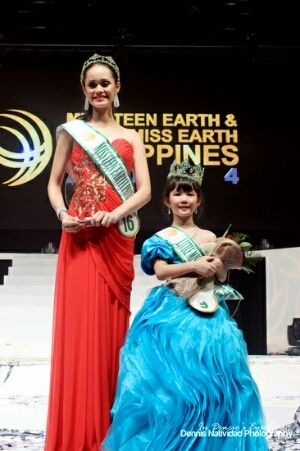 Last year’s winners – Miss Teen Earth Vanessa Mae Walters and Little Miss Earth Philippines Bernadette Datu – continue to have fruitful reigns so far. They have separately involved themselves in worthwhile age-appropriate projects for the environment, while busying themselves with school work at the same time. 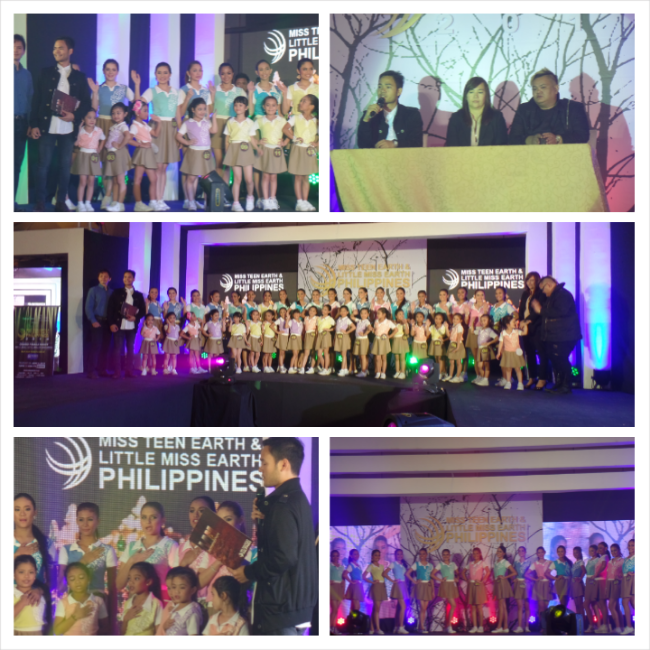 The sophomore edition of the Earth-themed contest is expected to be grander and more far-reaching than the last. So if you have potential qualifiers for the two titles, get ready for the screenings starting January 10. 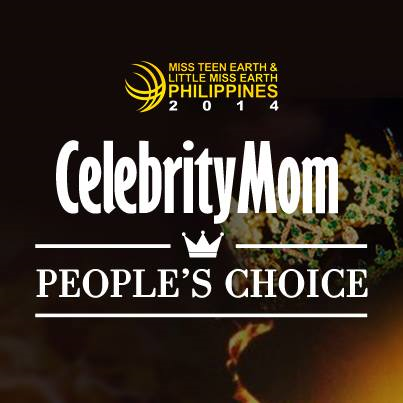 For more information, please head on to the Official Website or click HERE.